Healthy pancake recipe. No sugar, no flour, no diary! Today I have an awesome recipe for you. I eat this kind of breakfast 2-3 times a week, it is one of my all time favourite. I know everybody loves pancakes, but maybe some of you are not eating it, or feeling guilty when you eat it, because of the high calorie content. Well, I have good news for you: this recipe has only natural ingredients, no sugar, no flour and no diary. 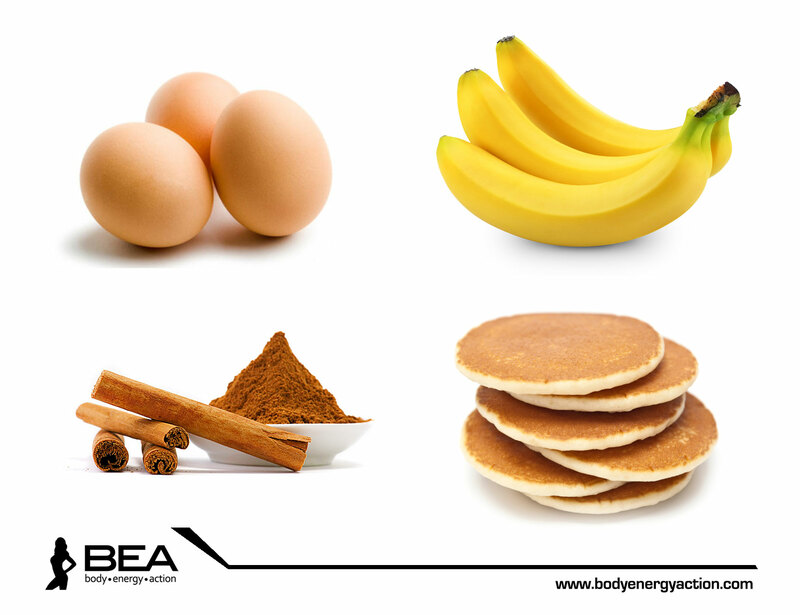 A traditional American pancake has about 700-750 calories, lots of fats and sugars. This one has less than half of those calories and more nutrients. Peel and slice banana. Mash banana and add egg. Mix until fully combined. Heat a frying pan on medium. Spray with cooking spray. Fill a 1/4 sized measuring cup with the pancake batter. Pour measuring cup onto heated pan. For the topping I used greek yogurt and I made a berry sauce from fresh strawberries, raspberries and a half tablespoon of honey. So if we count the calories, one egg has 72 kcal, a medium banana has 100 kcal, a tablespoon (14 g) of oil has 100 kcal. One cup of greek yogurt (227 g) is 130 kcal, but I did not used the whole cup, just half of it, so it’s 65 kcal. The strawberry topping is about 60 kcal. So the whole pancake is a total of 469 kcal, which is not few, BUT the serving size for these pancakes is the half of what you see in my picture. One portion is 234 kcal; it has good nutrients, proteins, healthy sugars, potassium. 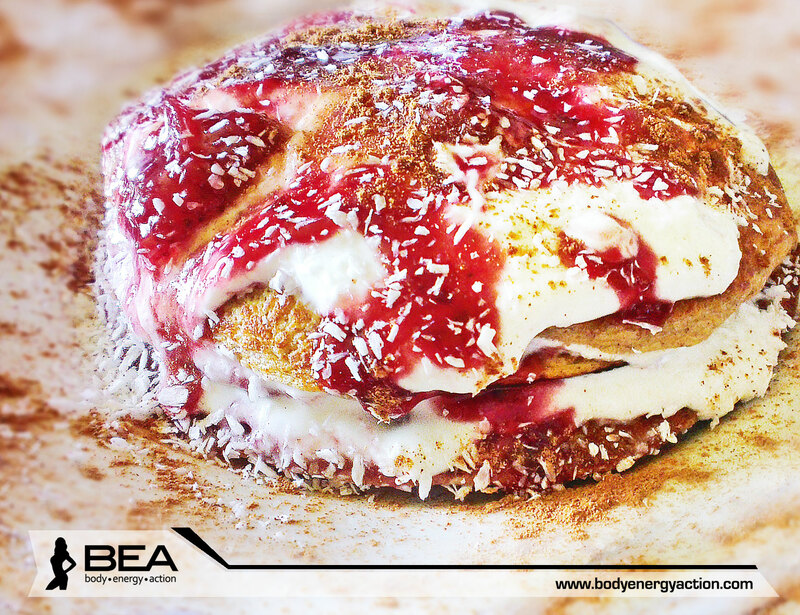 You can eat it as a breakfast or as a post workout meal. Compared to the traditional pancake which has lots of sugar, milk, flour, baking powder, butter and on top of it maybe some maple syrup or caramel syrup or some chocolate cream and the whole thing can easily reach 800 calories. I think I made my point here, try it out, it is delicious and be aware: size does matters when it’s about portionsJ. Keep your portions small!! « Why are people not loosing weight? They look totally unhealthy……deceiving. If they taste as good as they look, props! Healthy stuff!